It is unfortunate, but the reality is that there are more than 2 million people in the UK living with some sort of visual impairment that effects their everyday lives. These people depend upon carers and families to complete challenges that arise in everyday life. Unfortunately, because visual impairments cause a wide range of challenges for the people that live with them such as, poor depth perception and lack of visual definition, it becomes very dangerous to cook or use sharp kitchen utensils. This ultimately can lead to a lack of confidence in surroundings and movement, to the people living from sight loss, so therefore we at AKW have decided to make a kitchen guide for those who assist somebody with a visual impairment, be their Occupational Therapist, kitchen installer, carer or family member – so the kitchen can be a place for the user to regain their independence and confidence in moving around their own home safely. Educate on which improvements are the most needed, it is important to give accurate information so they can make the informed decision themselves. Keep areas of use lit and keep the rest dim with illuminated edges to prevent accidents. This fits in with the last point, but it is important to have a Light Reflect Value (LRV) greater than 30 to help differentiate between objects and surfaces. Keeping walkways and doorways clear and make sure there are clear logical routes around the kitchen. This goes for the floor plan, entry, exits and appliances. Audio feedback devices are common in use for these sorts of designs and fixtures. 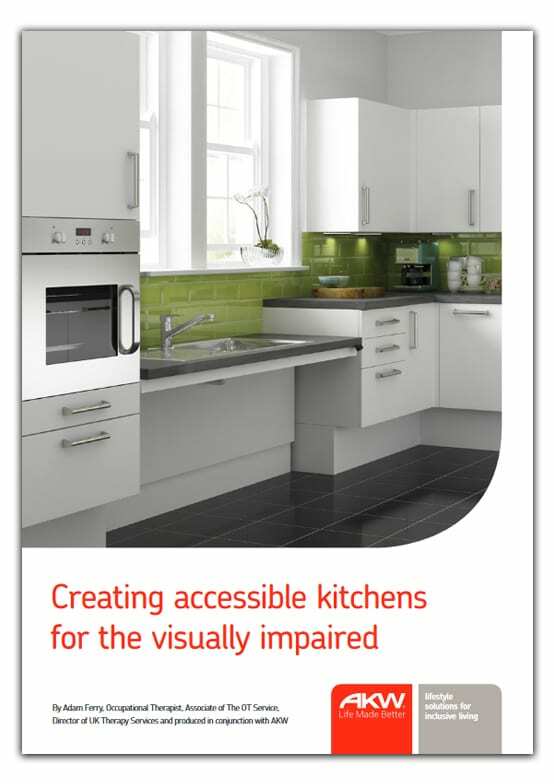 But don’t worry yourself with all the technical intricate details, our helpful guide includes design specification guidance to follow when designing kitchens for the visually impaired. The brochure consists of clear, short, and simple instructions, and provides tools to help the visually impaired be as independent as they feel they need to be again. 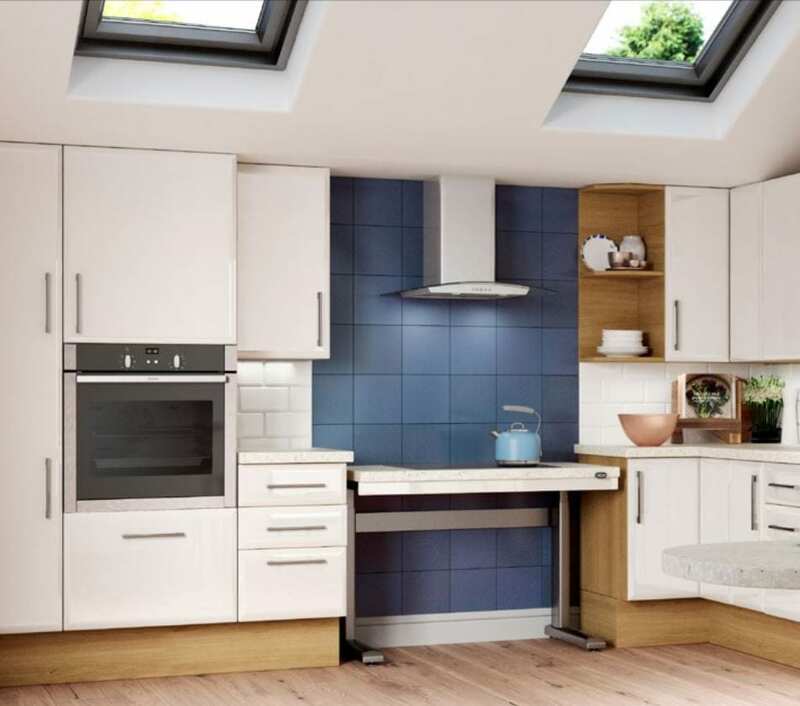 You can download our kitchen’s guide here for free. What about bathrooms? Visit here for more information.